Custom white polyester security label imprinted in black with Name and Phone Number. 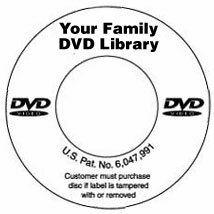 A fast and easy way to personalize your store or home theater library. Prepayment and written confirmation required. Available on rolls of 500 and pricing is per roll.